Will-E Robo is a comic talent on the rise to international stardom! His career catapulted when he appeared at the world renowned, Apollo Theatre, winning six times. He went on to appear twice on both BET’s Comic View and Russell Simmons Def Comedy Jam, and made memorable appearances on P. Diddy’s Bad Boys of Comedy, in 2005 and 2007 for which he was given the title of P.Diddy’s Number 1 Bad Boy of Comedy. In 2008, he featured on Martin Lawrence’s 1st Amendment Stand-Up. 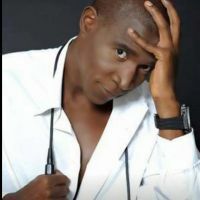 He has received the Flip Wilson Award for Best Original Act and was nominated for Best International Act at the London Black Tie Comedy Awards in 2009. His determination and natural ability have won him an army of fans on both sides of the Atlantic. His loyal fan base in the UK enables him to show case his talents selling out the indig02 for the second time in 2010.